I was sooooooo thinking of putting Shaqfu on here as a joke. I remember Nintendo Power labeling it as in the top 10 worst games (for a Nintendo system) of all time (ca. 1997 or 1998 for their 100th issue). A lot of people are eager to slam NES games made by LJN -- partially because some of their titles truly are bad, partially because of what AVGN has done to insult their work. But two of my favorite NES games are Jaws and The Punisher... not only are they license games, but they show a notably distinctive, innovative gameplay, solid production values, signature sounds, etc. They're just fun, and worth a second look from people who would usually instantly hate them just because they say LJN on the label. SkirmishFrogs.com -- A lighthearted retro gaming community. NintendoLegend.com -- One retro gamer's quest to play and review every American-released NES game. 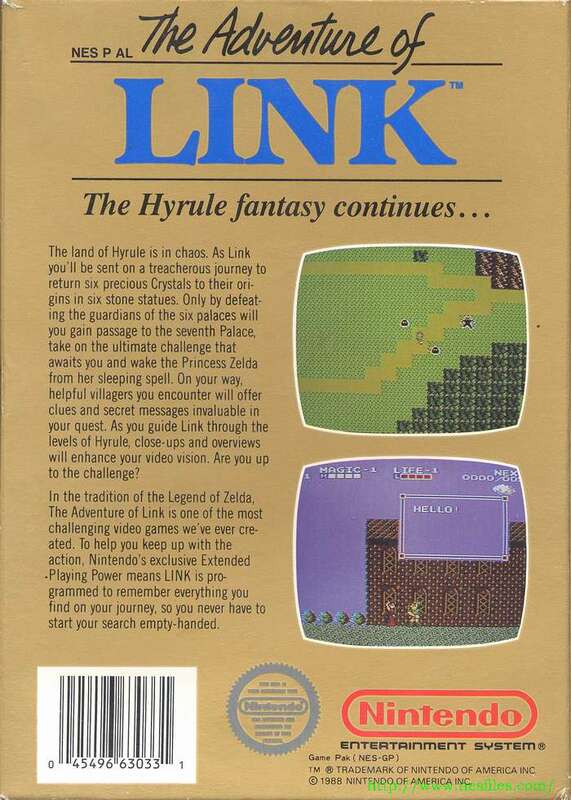 NintendoLegend wrote: A lot of people are eager to slam NES games made by LJN -- partially because some of their titles truly are bad, partially because of what AVGN has done to insult their work. But two of my favorite NES games are Jaws and The Punisher... not only are they license games, but they show a notably distinctive, innovative gameplay, solid production values, signature sounds, etc. They're just fun, and worth a second look from people who would usually instantly hate them just because they say LJN on the label. I didn't care for Jaws at all, although I never played Punisher. Jaws was just bad, though. I easily placed it in the category of NES games I don't think I'd ever want to own, LJN or not. Not all LJN games are bad, though. I did like, at least as a kid since I haven't played them since, Maximum Carnage and Separation Anxiety, as well as Uncanny X-Men and WWF Royal Rumble (didn't care for the SNES incarnate). BurningDoom wrote: -Sonic 3D Blast (Genesis/Saturn) - I loved this game when it came out... Also, as a side note, I just wanted to add that THIS GAME was the first appearance of the enemy lock-on move. You would get it when you picked up the gold shield. As another side note, the Twinkle Park music from Sonic Adventure first appeared as Sonic 3D Blast's Panic Puppet Zone Act 1, and I seem to remember much of Adventure's Emerald Coast music sounding a lot like Blast's Green Grove (in the Genesis version). Going way back to the beginning of this thread, do people truly hate the Petz games (prior to 5)? I still love Dogz 4. The semi-complicated genetics of it is really fascinating. And what about Sonic Spinball? I'm not sure if it's generally liked or disliked; all I know is that I myself used to detest it, but now I love it, and over the years it's become one of my favorite Sonics to replay. There are some bad games out there. But really, at the end of the day, it doesn't matter if they are good or bad, only how much you enjoy it. Something great can bore us while something bad can be a lot of fun. This thread is about the latter. What bad games do you like? Not games other people think they are bad, games you think they are bad and can even really argument why but you still like. noiseredux wrote: I agree. 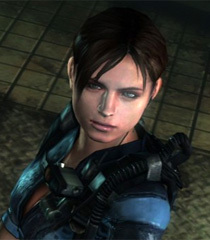 There's merit to be found in any game really. And most of us have some "bad" games we love because of nostalgia or whatever. I've said it before I'm sure, but when it comes to any medium really (games, movies, music, etc) I'm just as interested in really "bad" ones as really "good" ones. I think anything that hits an extreme one way or the other is far more interesting than something middle-of-the-road. Or to be more exact, I think a "terrible" game is just as interesting as an "excellent" game -- I'd rather play a "terrible" game than a "good" one. Y'know? If you follow the daisychain, it goes all the way here, but this one is older. "Bad games you love" is one of retrogaming's favorite topics, besides "top X" lists. 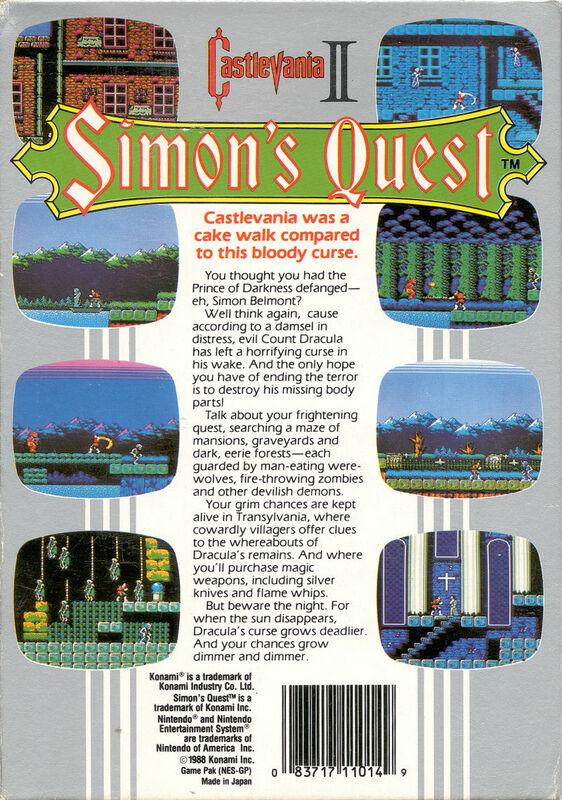 I've heard many people label this as a bad rip-off of Castlevania. I can't argue that much, but I do argue the "bad" part. It can be frustratingly difficult in certain spots, for sure, but so can Castlevania. I played the hell out of it as a kid, so I might be a bit biased. This one was an NES game based off of a children's license that I'm sure no one remembers. It was passed off into bargain bins very quickly, probably due to being guilty by association with other licensed games. But it was made by Konami, and was a very polished and well-made (though not very innnovative) action-platformer for the NES. I also liked the hook that you were tiny and there was this whole massive world around you (I had just been marveled by the special effects of "Honey, I Shrunk the Kids" not too long before). I spent many hours as a kid smashing my through through miniature monsters. The black sheep of the Legend of Zelda series. Many gamers hate it because it's such a departure from the gameplay of the other Zelda games. Can't really argue that point. But despite it being different, I still had a lot of fun with it. 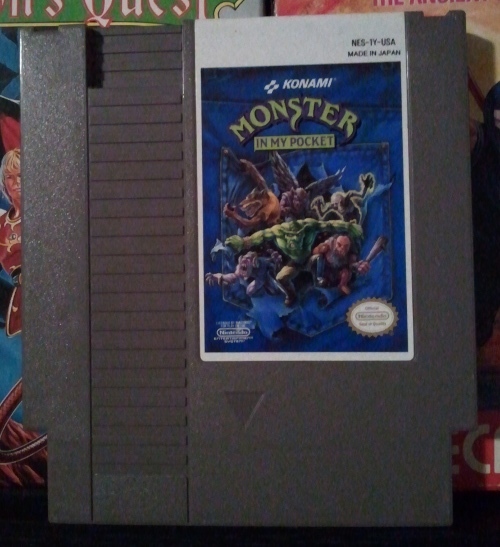 And to this day, it's still one of my all-time favorite NES games. Another black sheep in a popular NES line of games. This one gets crap for having cryptic clues and making it difficult for players to figure out what to do or where to go next. Well the only part that really got me stuck, personally, was the freaking kneeling in front of a cliff thing. But even then, that's what online guides are for, right? Or in my case, back in the day, Nintendo Power, courtesy of my grandma who would send them to me after she was done with them. But personally, I loved the addition of the RPG-elements, which wouldn't return until Castlevania: Symphony of the Night on PS1. For me, it made the game a whole lot more fun and in-depth than the original Castlevania (which is still a great game, don't get me wrong). 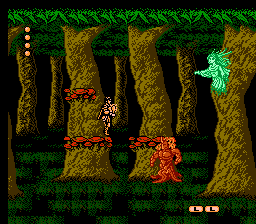 And Castlevania II introduced us to possibly the best NES chip-tune ever: Bloody Tears! I'm completely in love with the entire series. From the original Japanese release, to the Ancient City on PS2, and both games in-between. I know them as well as most gamers know Super Mario Bros. I find them to be completely immersive, atmospheric, and addicting. Many gamers hate the difficulty, the combat system, and that there's no one holding your hand and telling you where to go or what to do. Okay, some of you are probably scratching your heads and going, "Huh? How is this a bad game?" Well, back in the day, it was well-received and I believe it even became a Greatest Hits title. But any friends I see try to go back and play my copy today always become frustrated as hell with the controls and usually love to talk crappy about the blocky graphics (which were blocky even by 1999 standards). 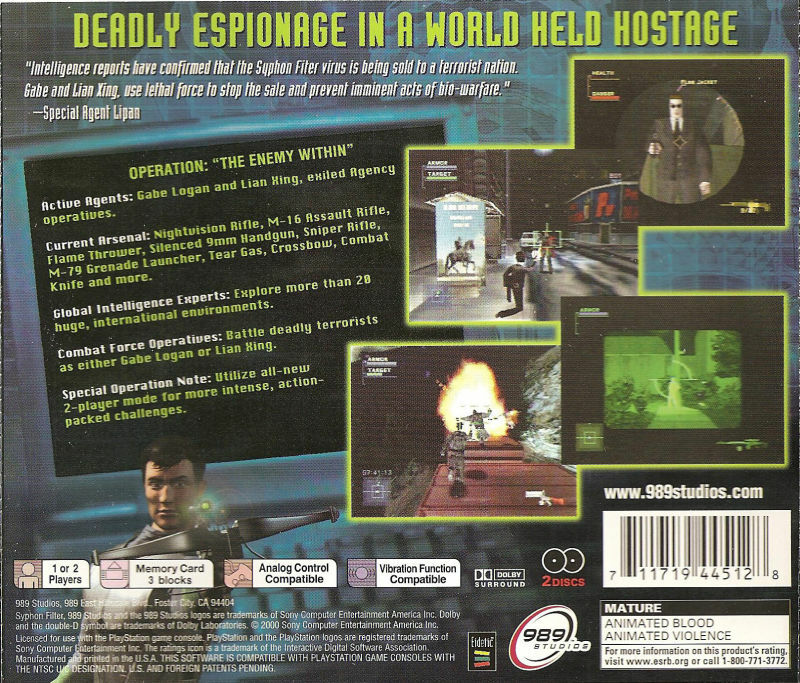 I on the other hand can still enjoy the heck out Syphon Filter, which is why it's on my list.